I've used an image from Lili of the Valley and papers from My Minds Eye On the Bright Side, ribbon is from the jar and the branch is cut from a memory box die. 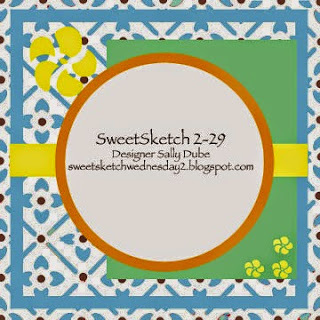 What a super card, love the color combo and great image. So glad that you could join us this week. Darling card Anne. This is one of my favorite LOTV images and your tree branch embellishments are absolutely terrific with it. Very creative! 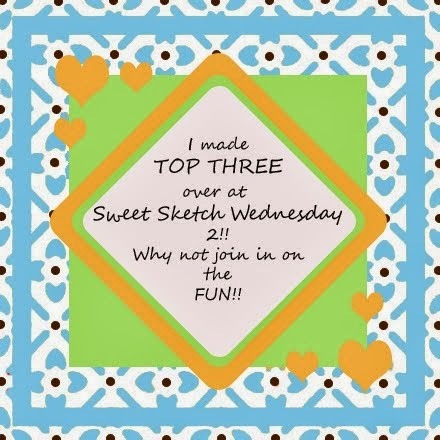 Thanks for joining us at Sweet Sketch Wednesday 2! Anne this is a wonderful card your Brother In Law will love it, it's such a darling image this one so masculine and your embellishments are totally perfect and your design papers are wonderful. 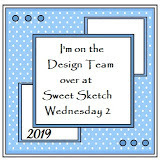 Great card and thanks so much for sharing your wonderful talent with us over at Sweet Sketch Wednesday 2. Gorgeous card Anne, love the image and the papers.